Driving Electric Propulsion in NexGen Satellites - Marotta Controls, Inc.
Now Spacebus Neo, Europe’s Thales Alenia Space Ltd.’s next generation satellite platform of telecom satellites, is capitalizing on this technology as part of a Xenon Pressure Regulation Assembly—simplifying electric propulsion systems, eliminating long-term leakage, and enabling uniquely flexible performance on a long-life satellite mission. System simplification is essential in the highly competitive SATCOM market. By recognizing value in multi-function components, operators can create advantages in program cost, assembly time, reliability and satellite mass. These gains can be demonstrated by a unique Multi-Function Valve (MFV), a key feature of an Spacebus Neo’s electric propulsion system’s Xenon Pressure Regulation Assembly (XPRA). Designed with fewer components than traditional mechanical regulators, the XPRA is driving down costs, reducing system weight, and enabling more payload in next generation satellite systems. Patented and flight-qualified, this flexible device is enabling greater accuracy, robustness and system stability, even while equipping operators with new capabilities to adapt performance remotely over the course of mission deployment. While competitive with mechanical regulators, benefits of the multi-function system are significant—reducing weight and overall cost by as much as 50 percent compared to traditional systems. The XPRA essentially acts as a digital device that can be reprogrammed as needed, allowing satellite operators to change flow rate or regulate pressure on the fly; the device’s unique characteristics also eliminate downstream thruster isolation valves by creating the high sealing force that ensures fail-to-close leak-free operation over its lifetime. These advantages are enabled by the device’s MFV, performing several functions in one component, acting as pressure regulator, flow regulator and monostable isolation valve. Although similar in construction to a normally closed solenoid valve, the MFV has no dynamic seals and just one moving part. It uses the unique physical properties of magnetostrictive material as the actuation mechanism to modulate between open and closed positions. The magnetostrictive material itself grows or shrinks depending on the electrical field that is applied, behaving in a way that is controllable and repeatable. This controlled movement in turn enables the MFV’s single moving part to make tiny adjustments that allow precision control or modulation of flow or pressure. With this level of proportional control, scientists and satellite operators can think differently about their electric propulsion requirements—including droop-free end-of-life regulation and reprogramming performance from the ground as new issues impact a mission. 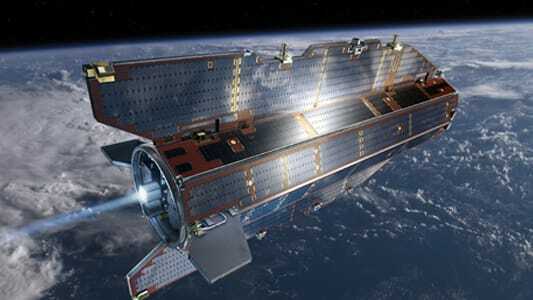 These capabilities were validated during the GOCE (Gravitational Ocean Circulation Explorer) mission, where the MFV was initially flight-qualified and helped extend the planned 20-month flight to 55 months while increasing the in-flight performance of the satellite. The MFV was the key element in the electric propulsion system used for critical drag compensation and withstood near-continuous use during the 55-month extended mission, acquiring approximately 39,000 hours of operation without the need to switch to its redundant pair. Developed and patented by Marotta Controls, the flight-qualified MFV has also been tested with both Hall Effect Thrusters and Ion Engines. The device provides the foundation for the Spacebus Neo XPRA, designed to optimize xenon flow and pressure rate; the XPRA dynamically regulates xenon supply pressure according to flow demand, enabling significantly more flexible missions based on acute control of onboard propulsion assets. Capitalizing on the flexibility of magnetostrictive material, the device applies varying amounts of magnetic field to create precise, minute adjustments in opening or closing the valve’s orifice. As the magnetostrictive material is controlled by an electromagnetic field outside the pressure boundary, there are no seals that can leak or cause excessive friction. A certain number of positive-sealing barriers are specified between high and low pressure areas of a propulsion system; however, because mechanical regulators do not fail to the closed position, additional valves must be integrated into the system. In contrast, an MFV fulfills a role as one of the required barriers, ensuring parameters are met while reducing complexity and eliminating components. A mechanical regulator’s setpoint performance also degrades over time. For instance, the sealing force behind its internal spring becomes gradually less powerful, causing the potential for costly and damaging leakage of propellant. The MFV is impervious to this type of issue, by virtue of its design as well as the inherently stable characteristics of the magnetostrictive material. Sealing force remains consistent and the system is assured of leak-free performance over its lifetime. system. The MFV is a key component of the XPRA for Spacebus Neo. Once a satellite is in orbit, every day that the mission can be extended adds direct value to the bottom line. Efficient, accurate and dynamic control of propellant enables fuel optimization, systems are simpler, more precise, contain fewer components and weigh less. System designers can count on predictable, droop-free regulation performance throughout the mission life, enabling more efficient budgeting of propellant. With reduced weight, operators also have more options for additional payload, such as packing more fuel and planning to keep the satellite deployed longer, or adding a greater number of sensors for more capabilities. This new level of flexibility is directly enabled by multi-functionality—the less space required for critical systems, the more room for fuel or payload. In this environment, and as satellites such as Spacebus Neo are being designed for longer deployment, the limitations and complexities of mechanical regulation have become more profound. System engineers and propulsion architects must build-in additional propellant to account for leakage, accommodate the mission, and protect decommissioning maneuvers. Because every kilogram onboard reduces payload options, developers must explore proven new methods well before designing their electric propulsion system architecture. In the risk-averse culture that drives space technology, multi-functionality offers essential value —creating system-level impact on next generation satellite design including reducing costs and component count, eliminating long-term leakage and enabling significantly greater flexibility in mission performance. to reduce weight and complexity of satellite feed systems. Multi-Function Valve (MFV) research and development dates back to the 1990s. Driven by a global push to commercialize and launch massive constellations of satellites, the objective was to uncover a propulsion method more economical than traditional systems of the era. The holy grail of mass satellite production never materialized . However, Marotta uncovered a method for actuating the valve and achieving super-fine control of very low flow rates using a unique magnetostrictive material, capable of converting energy from one form to another. When the European Space Agency’s mission GOCE (Gravitational Ocean Circulation Explorer) program arrived in the early 2000s, the MFV innovation was poised to quickly meet its unique propulsion requirement for fine, dynamic control of xenon flow rates. Because the mission required an extremely low orbit—collecting the most accurate gravity measurements at ~255 km above Earth, or ~500 km lower than most Earth observation satellites—GOCE encountered constant changes in drag. Yet the satellite had to be kept stable in ‘free fall,’ ensuring true gravity measurements by counteracting the effects of buffeting from low altitude residual air. The electric propulsion system had to operate almost continuously through the mission to protect a stable orbit without a potentially dangerous slowdown in speed; however existing technologies were insufficient to deliver the continuous, minute changes in thrust level that would keep the satellite in a constant orbit. 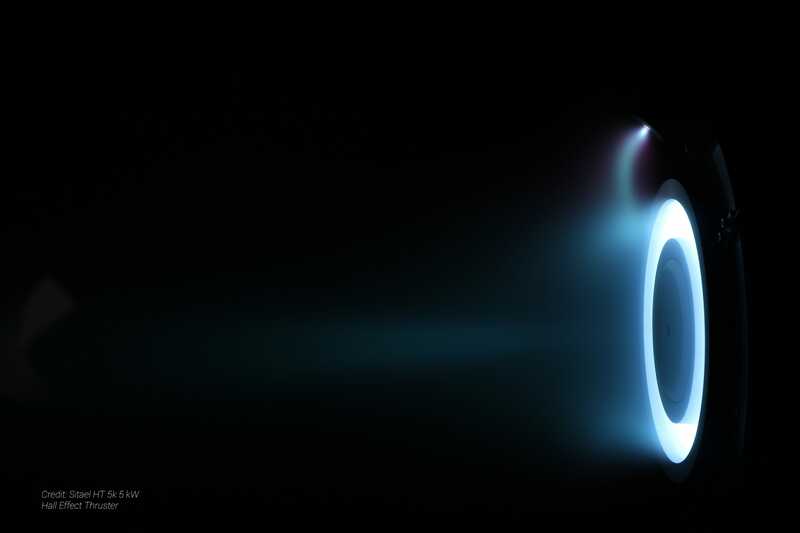 Through a development, engineering and qualification contract, Marotta’s MFV was established as the optimal option, continuously generating precise changes in the flow rate of xenon gas in the electric ion thruster system. Optimized fuel usage helped extend this challenging 20-month mission to 55 months, and precise propellant flow control helped reduce the orbit even lower (to ~235 km above Earth) because the satellite could better handle worst-case meteorological conditions. The resulting improvement in its sensitivity enabled higher accuracy in gravity field measurement. Bryan Reid possesses more than 30 years of experience in the international Aerospace and Defence industry in both technical and commercial roles. He is instrumental in developing Marotta’s space strategy and securing significant technology content on major platforms. He was also involved in the support structures for the Ariane 5 first stage Vulcain Engine, the Cold Gas Thruster Module for the Tethered Satellite System as well as several commercial aircraft applications. Contact Bryan at breid@marotta.com.